Here I am going to share the testimonial of Tripti Sonali who sincere and diligent individual with a degree of M.Tech is Working as Sales and Application Specialist at BTL India Pvt. Ltd. Working as a part time Patent Trainee at Indian Institute of Patent and Trademark. Exhibits strong credentials to understand organizations objectives and requirements and thereby develop specific success metrics as well as design reporting and analysis approaches tailored to their unique needs. Possess thorough understanding of patent language and scope of patent claims, according to country specifications. She also worked in Mass Spectrometry Laboratory at AIRF, Jawaharlal Nehru University, New Delhi. Had Hands on experience on spectrometry lab instruments. Analysed protein profiling data and other on different advance search engines. She had undergone Post Graduate Diploma in Patent Law and Management from IIPTA. For more than 20 years, BTL has been innovating and developing new health benefiting technologies that have been helping patients as well as caregivers. BTL is one of the major physiotherapy, cardiology and medical aesthetic equipment manufacturers in the world. Understanding of all aspects governing operational and production activities and up to date knowledge of latest technological advancements, regulations/ guidelines and statutory compliances in the industry. Thrive in a deadline intensive environment, multi-task, perform under pressure and meet deadlines. Ability to use sound judgment &amp; decision-making skills and effectively perform in a self-directed environment. Possess good analytical, communication and presentation skills. She did worked as a Project Trainee – Advance Instrumentation &amp; Research Facility Center, JNU. 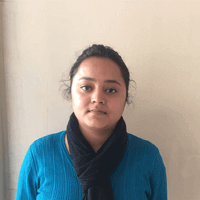 Tripti has this classroom program from IIPTA and was very much satisfied after the classes which she undergoes under Patent Agent Mrs. Cheshta Sharma. She understood everything very well, and moreover was very much clear about the Program. She also got selected for the Internship process in IIPTA.